Geneva. 2010. Volkswagen unveils the Cross Polo. 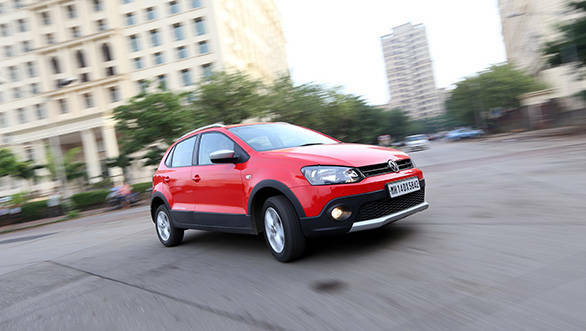 It has higher ground clearance, bigger wheels and way more attitude and road presence than the regular Polo hatchback. India. 2013. Volkswagen launches the Cross Polo. 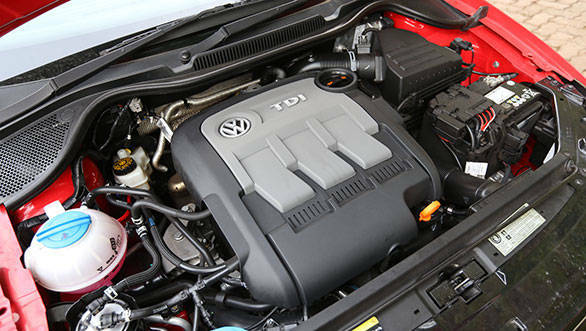 It commands a Rs 60,000 premium over the car it is based on - the Polo Highline 1.2TDI. It doesn't sport higher ground clearance, and it doesn't get bigger, fancier wheels. It still has attitude, we will give it that. But can it really justify the premium it demands given it doesn't seem to offer a whole lot more than the regular Polo; at least on paper? First, the visual bits. 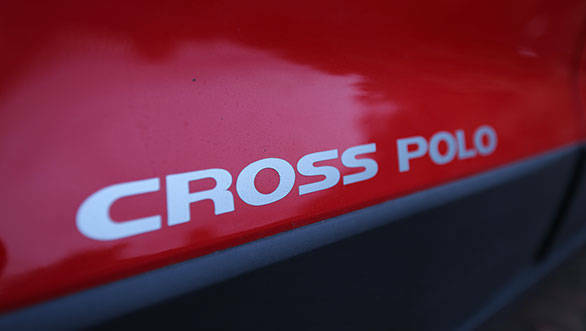 The Cross Polo gets new, sturdier looking bumpers front and rear. It gets plastic side cladding, and it gets roof rails. The grille is slightly revised too, and the ORVMs are now finished in matt silver. Inside, it gets a new fabric called Livon, and that's all. Yes, the equipment is there; everything that you get in the Highline trim is present - digital climate control, steering mounted controls, height adjustable driver's seat, a decent audio system, and good stowage space upfront as well, but it's not new. There's nothing new to experience when you begin driving either. There's nothing new to experience when you begin driving either. Yes, the seats are still very comfortable, the controls still feel tactile, the car continues to feel as if it will last generations, and the ride and handling is still among the best in its class. But, then you still have to be careful about the car's nose exiting steep ramps; you still have to care for the low sump; and you still have to live with the noisy engine. The Cross Polo is only available with the 1.2-litre three-cylinder diesel engine. It still only makes 75PS of max power and 180Nm of peak torque, but it weighs a little bit more. However, on the road the difference in performance and fuel economy is minute, if at all. The car still accelerates to 100kmph from a stand still in a lazy 16.1s; it still manages a top speed of under 170kmph, but it still manages to return a terrific overall fuel economy figure of 17kmpl. So, if the Cross Polo feels, drives and delivers exactly the same as the Highline, is there a point in buying one? If the Cross Polo was marginally more expensive than the Polo Highline, say three per cent or thereabouts, we would have said yes; it does pack in more road presence and attitude after all, and that must cost a premium. But, a Rs 60,000 premium, is a bit too much.